If you think I am not aware I am sick, I am. I may not be able to see what I really look like in the mirror but I am trying. If you think I should just “eat a cheeseburger” as you put it, I wish I could but I cry sometimes just being in the parking lot of the grocery store. If you think your comment was funny or “constructive criticism”, it wasn’t. In fact it just made my eating disorder thoughts stronger by pointing out that people do judge others based on appearance and reinforcing my Eating Disorder’s belief that I need to be skinnier. If you think you can use the excuse “I didn’t know you had an eating disorder” to pardon your behavior, you can’t. It doesn’t matter if you knew or didn’t it is NONE OF YOUR BUSINESS. If you were truly worried about me you could’ve more discreetly and kindly “crossed the line” to express that. If you think your mental satisfaction was worth more than my mental health by commenting on my body, I sure hope it was because I have been crying since. If you think you didn’t do anything wrong or haven’t even considered what your little comment may have felt like on the receiving end, I hope you read this and stop yourself next time because regardless of if someone is “scary skinny”, “normal”, or “morbidly obese” it is still NONE OF YOUR BUSINESS and you never know what that person may be battling. I feel like I’m dying inside again, just like I did before I told the doctor. Tonight, I feel the same. Like I am watching myself die. I guess that could be because I am starving myself but it feels deeper than that, like it’s not just my body but my soul that is preparing to die. Like I know that tomorrow I am going to wake up, get dressed, go through the motions until I leave work early and get prepped for my evaluation appointment. And it feels like that’s where it will end, like that will be the finale, closing chapter, the last two words in the story, “The End” and that after that I will cease to be. 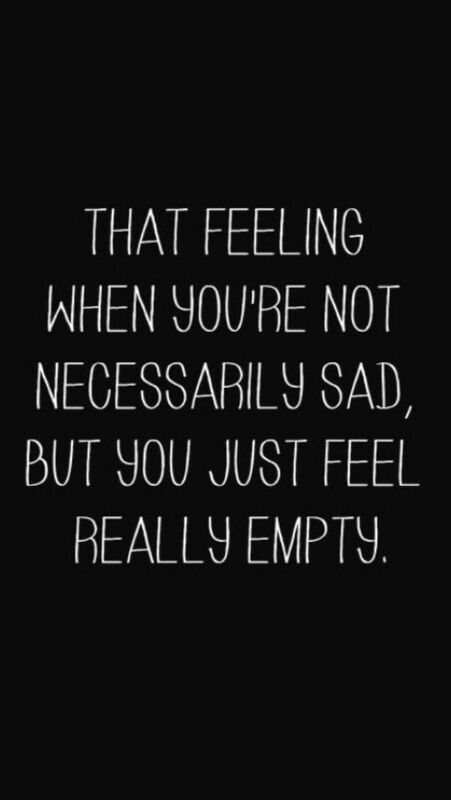 I can’t describe this feeling really, other than I feel empty. 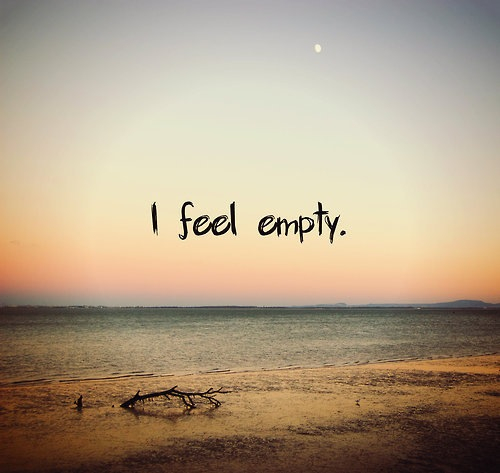 Not depressed, just empty. Detached. Guarded. I feel sad but not crying sad. I feel like I am betraying myself by being the one that begins to sever the thick, twisted and knotted rope that I have been holding on to since it was tossed to me to rescue me when I was left alone, isolated and drowning. How am I supposed to sever that? How am I supposed to just cut all ties? I mean, I get it, the very rope that I thought was rescuing me was in fact pulling me into rougher waters, more danger and was slowly coiling itself into a noose around my throat and tightening it’s grasp on me. But it has also been the only thing there for me at times. It’s been my friend, my savior, my guard and has given me new life at a time when I felt lifeless and hopeless. I am so conflicted. I know in my logical mind that I should find the sharpest knife possible and cut all ties but in reality I feel like I just want to find a plastic kid’s play kitchen knife and protect it now. It saved me, now I should at least do the same thing for it. Right? It’s a weird spot to be in, to know you have to kill part of you to save the rest of you but it doesn’t make it feel better or easier. I know some people name their EDs, or treat them like a friend or enemy or whatever but mine quite actually feels like it is me. I feel terrible. I don’t want to do this but I know I have to. I have to save myself but I am quite actually mourning right now, grieving for a loss I haven’t yet experienced but that I know will be slow and painful. I know I have said this all before in a post but it doesn’t change that the feelings are back, as real as ever and still just as nauseating and raw as they were- perhaps moreso because I know I have already started to slowly saw into the rope. Maybe I should tell my doctor? I don’t want to burden them and I don’t know these evaluation people so I don’t feel comfortable sharing. Maybe this is normal? Idk. I wish I could just see this ED as a criminal or other person, anything except part of me because then at least I wouldn’t feel this agonizing defeat and pain before even going in to recovery. I feel like with it like this, I stand no chance and like I am about to just endure undue torture for nothing. Alone and empty, that’s honestly the worst combination, I need the rope more now than ever.